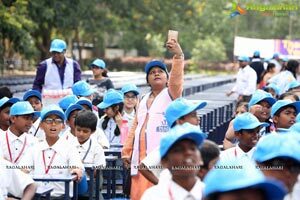 Hyderabad, 1 September 2018: It was a euphoric moment at the G. Narayanamma Institute of Technology & Science, Shaikpet where about 4000 School kids gathered for distribution of school benches today. 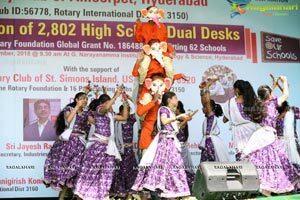 2802 High School Dual Desks worth Rs.1.06 Crores for Government and Government-aided schools in Hyderabad and Ranga Reddy Districts. 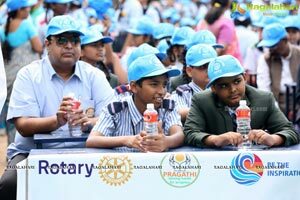 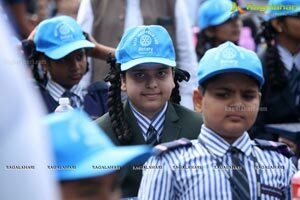 The initiative taken up by the local body, the Rotary District 3150, of the 113 years old Rotary International and Save Our Schools Task Force was organized as part of the two-day Multi District Peace Conference being held at Hyderabad, which kicks off today. 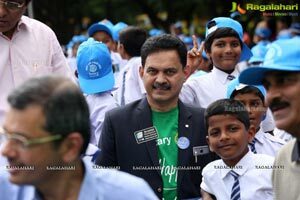 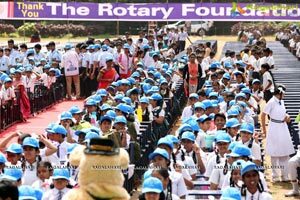 Speaking on the occasion, The Benches Man Ravi Vadlamani said that the aim of the initiative of school benches distribution is to see that no child sits on the floor at any school. 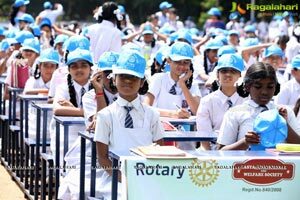 It is a basic thing and will contribute towards Rotary goal of 100 per cent literacy. 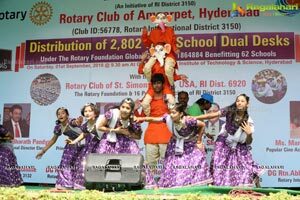 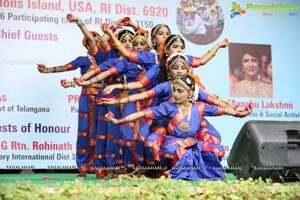 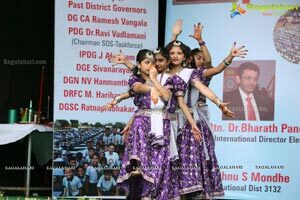 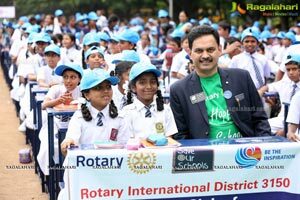 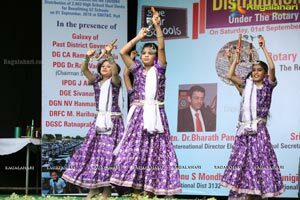 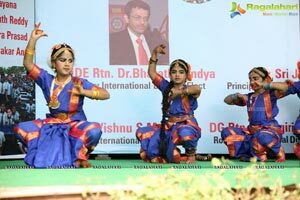 Rotary Intl Dist Governor Dist 3150 Ramesh Vangala said that in the next 2 years time, they will achieve their target of distribution of a total of 5 lakh school desks worth Rs 90 to 100 crore. 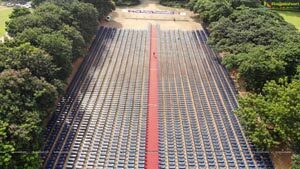 So far 1.2 lakh benches worth Rs 30crore are distributed. 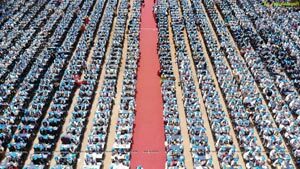 Rtn. 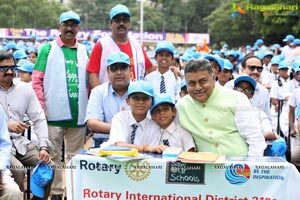 Sekhar Mehta, Past Rotary Intl Director and Chairman, Rotary India Literacy Mission speaking on the occasion said that while the children in city have benches, only 100 kms away children do not have benches to sit. 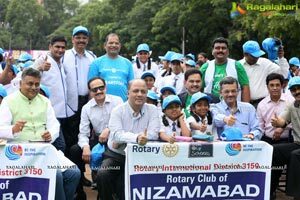 This is one of the best things done by Rotarians. 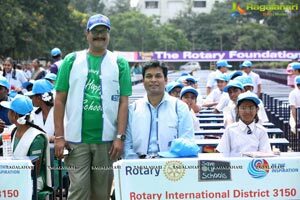 Rotarian Bharat Pandya Rotary Intl Director Elect addressing the gathering said that it is very sad that hundreds and thousands of children do not have benches to sit in schools. 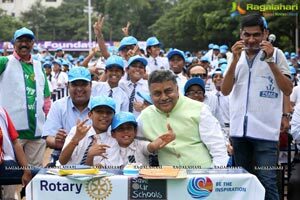 He admired the service by Rotary Dist 3150 and Ravi Vadlamani for distributing school benches. 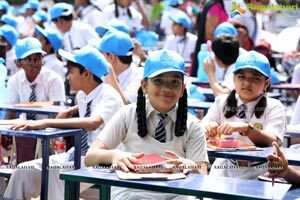 Surya Kumari, student of Class 7, ZPHS Bachupally said that she is very happy that her school is getting new school benches. 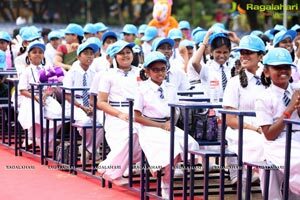 She said that it will be very convenient for them to sit on these Dual desks. 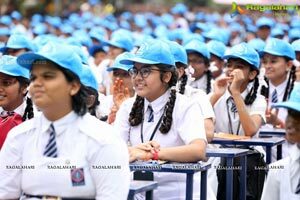 Another student Subhashini of Class 9, NATCO Borabanda said that new benches will be comfortable for them and it will give them interest to come to school when new things are provided there. 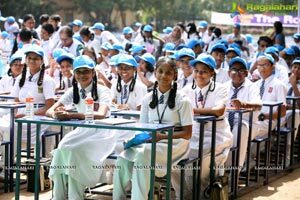 Each dual desk steel bench can accommodate 3 students. 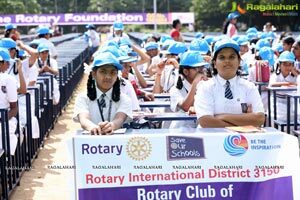 The School Benches Distribution project is taken up with the help of Rotary Foundation Global Grant and Save our Schools (SOS) Task Force. 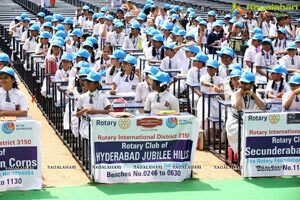 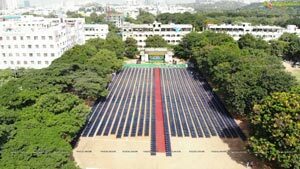 It will benefit 62 schools in Hyderabad and Ranga Reddy Districts. 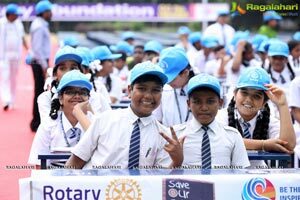 This initiative is supported by Rotary Club of St. Simons Island, USA, RI Dist 6920 and 16 local clubs under Rotary District 3150, Ravi Vadlamani informed. 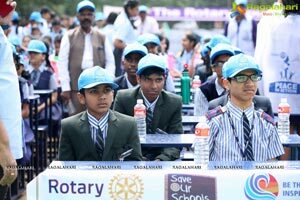 Save Our Schools, is a brainchild of Ravi Vadlamani, who is known as ‘The Benches Man” as he played a pivotal role in conceiving and successfully executing it. 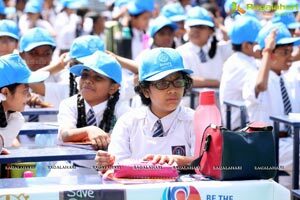 The distribution of desks will be under the aegis of Save Our Schools (SOS) Task Force. 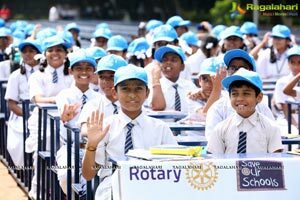 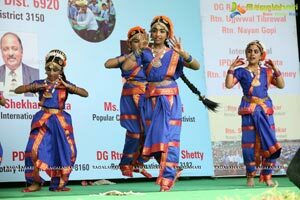 SOS is a flagship project of Rotary Dist 3150, launched a couple of years to provide the right infrastructure with all basic amenities for classroom learning. 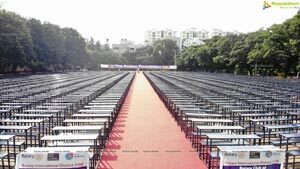 The project aims to distribute five lakh benches in the next couple of years. 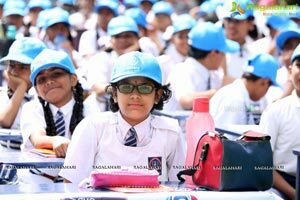 The District is so far successful in distributing 1.2 lakh desks worth Rs 30crore. 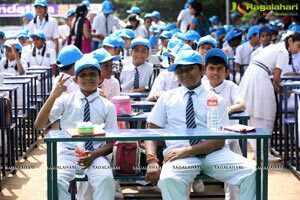 SOS aims to achieve its target of five lakh benches distribution in the next two years by 2020.